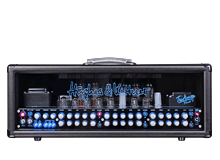 My Hughes & Kettner TriAmp produces the clearest and most musical distortion tone I have heard out of any other amps I have ever played. The Red Box output is also amazing for getting a consistent signal to front of house night after night. Jack Fliegler is the guitarist for Arizona-based Technical Black Metal band Singularity. Besides composing music for Singularity, Jack also has a popular YouTube channel under the name ToxicxEternity where he makes weekly metal covers of video game songs. As a result of self-producing Singularity's debut album, as well as producing a new video game cover every week, Jack has been recognized locally and internationally as a keen-eared producer with an ear for great tone. 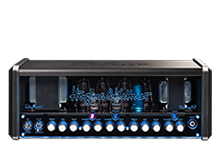 When the time came in Jack's career to invest in a quality amp head, he tried out virtually every known brand's premier amp head and ultimately decided on the H&K TriAmp due to its clarity and musicality, even on the distorted tones.